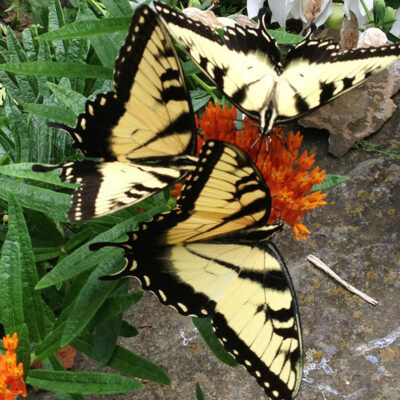 If you get just one plant to encourage more butterflies in your garden, this is the one. 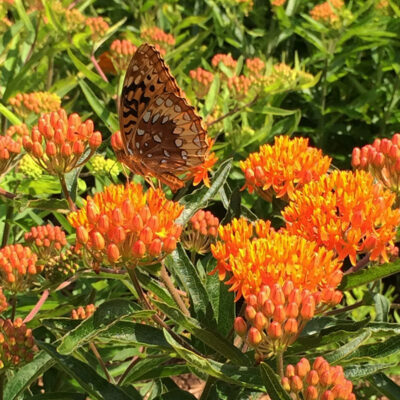 Butterfly weed serves every life stage of the butterfly. A one-stop shop. Butterfly-filled, orange flowers bloom June-August giving a long display. Flowers are followed by decorative seed pods. Good cut flower. Full sun. Good drainage. 1-2′ high and wide. Native. Zones 4-9.